Della-Calce Contracting is ready to assist you with all phases of your home improvement needs from concept to completion, however small or large your project may be. Take a look and see some of our work at all different phases. You really can turn your ideas and dreams into an affordable reality! Just let Della-Calce Contracting help you! See our Photo Gallery! William Della-Calce Contracting is an established full service Home Improvement Contractor serving the Northern New Jersey area. Our company will assist you with all phases of your home improvement project - from concept to completion. Don't have blueprints? We also partner with Architects for your planning needs. Please visit the rest of our site for details on how you can turn your vision into reality! From kitchen renovations to whole home remodeling, Della Calce Contracting can update and renovate your home today! 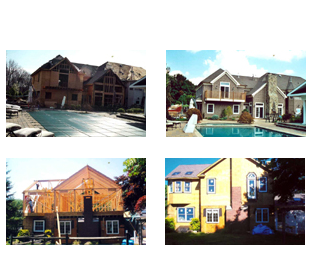 We have provided quality home improvement services and New Home Construction in New Jersey for over 15 years.